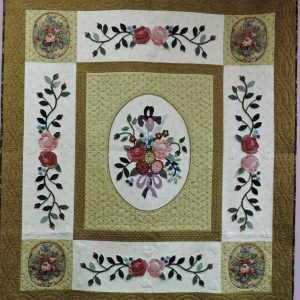 I have combined my love of history, literature and sewing in my original Jane Austen Quilt Collection. 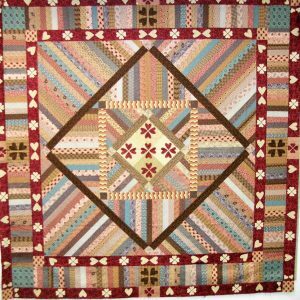 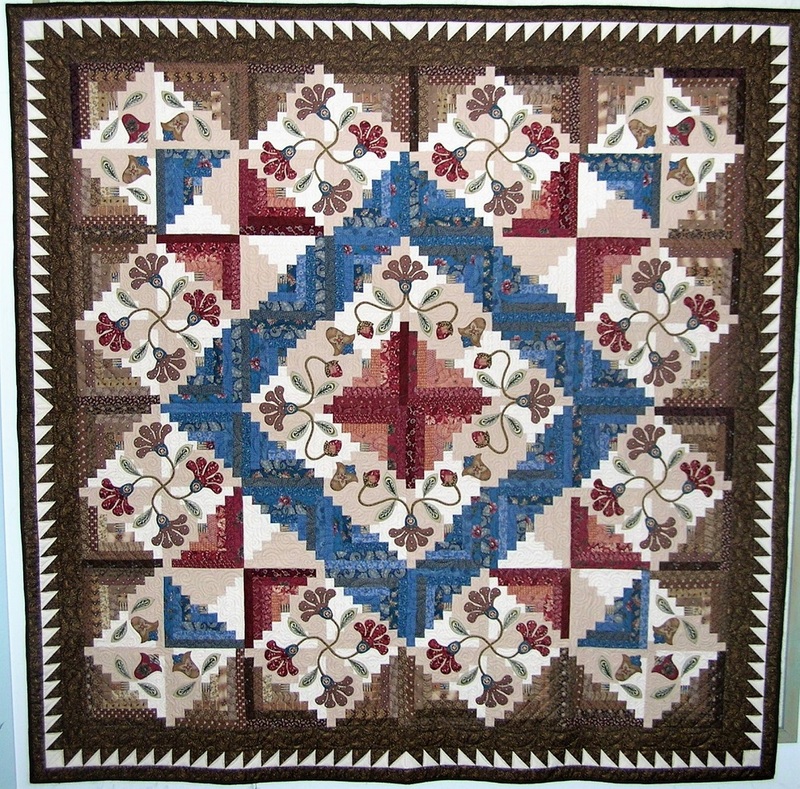 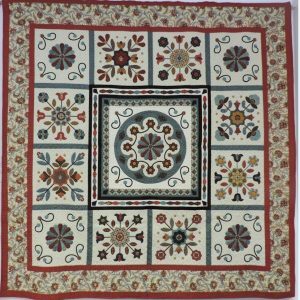 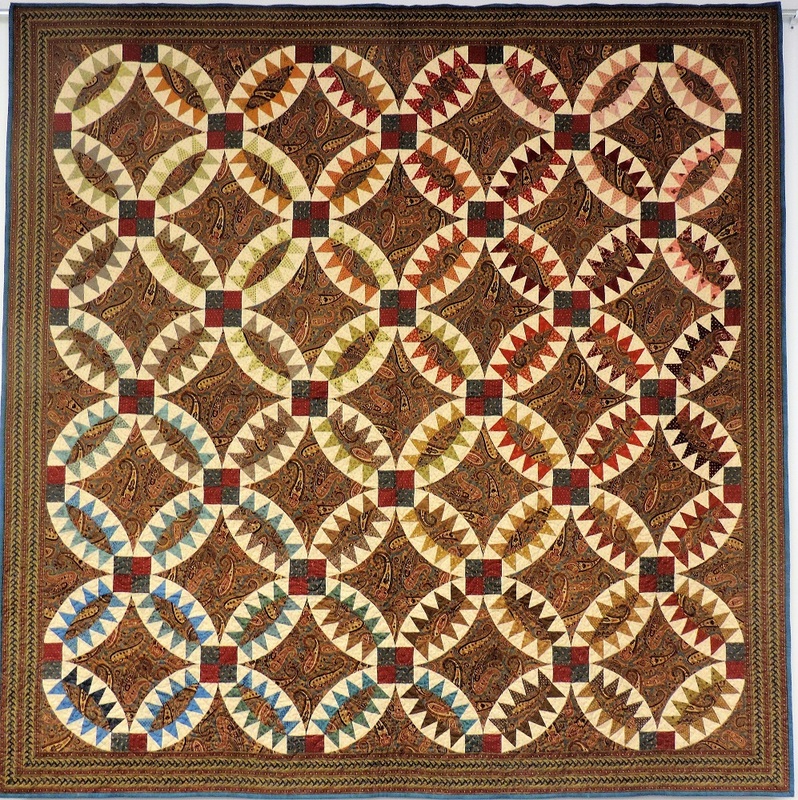 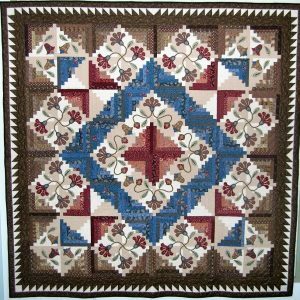 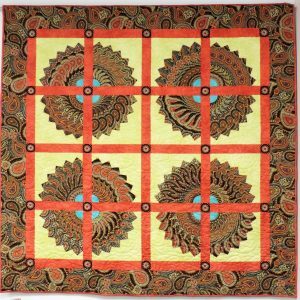 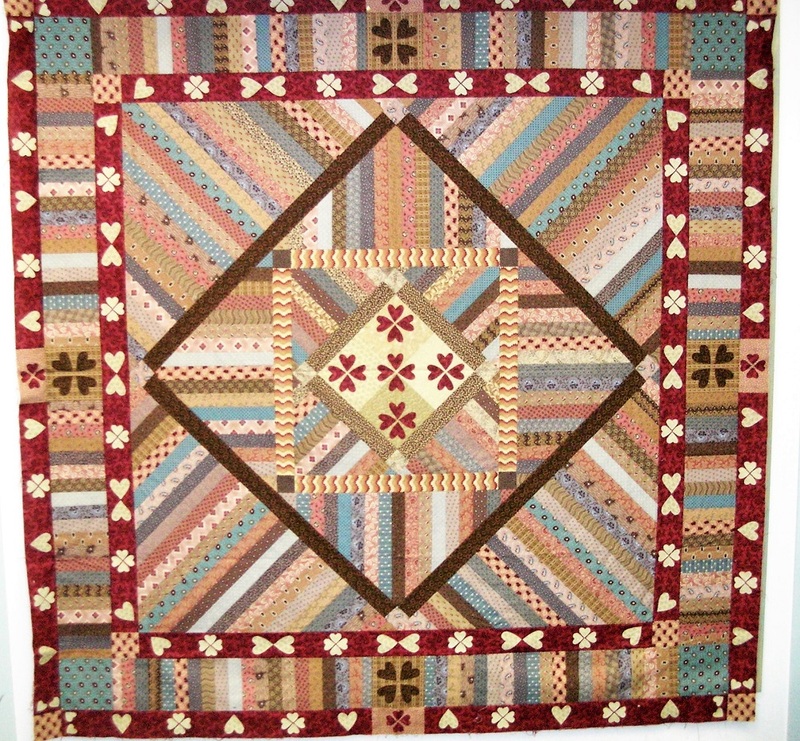 My signature quilt, Pemberley, was inspired by my fascination with an English quilt made in the 1790s. 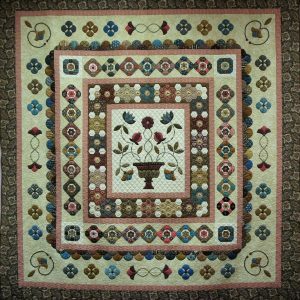 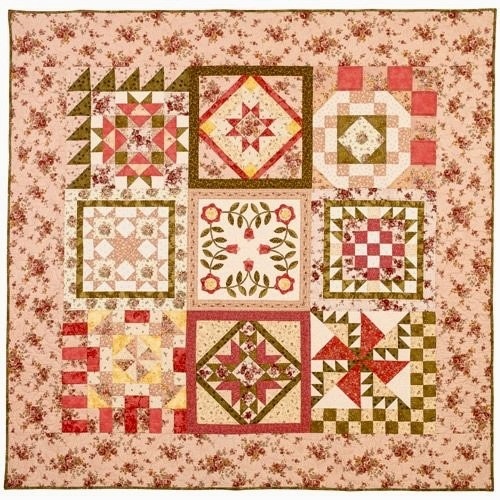 “Jane Austen” quilts have been my most popular workshop samples. 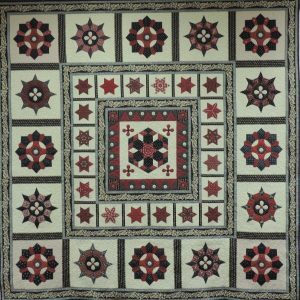 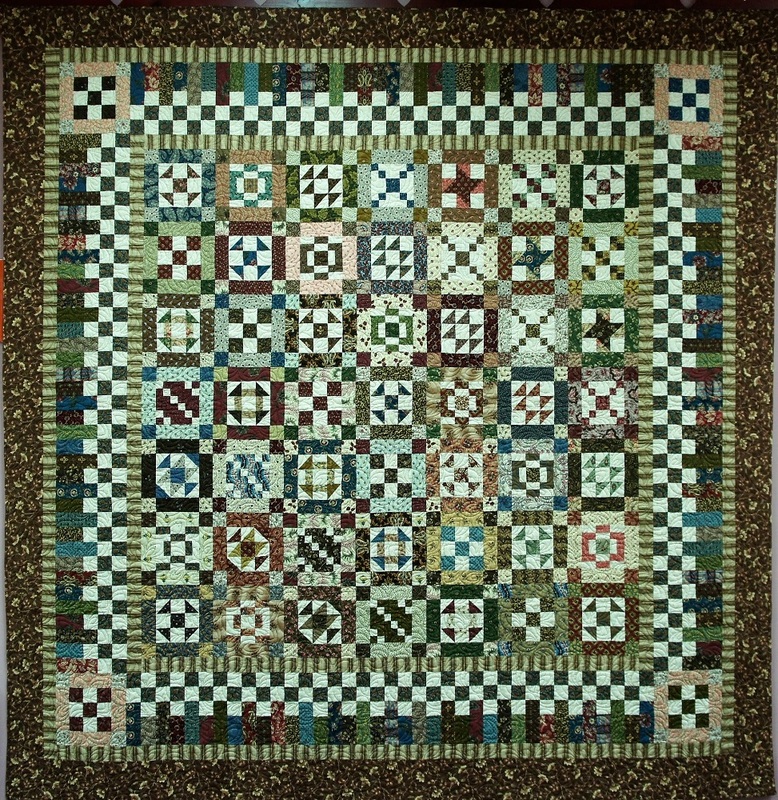 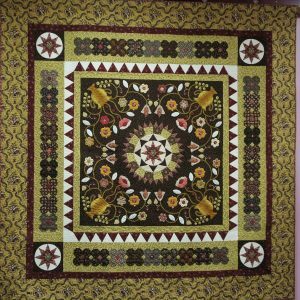 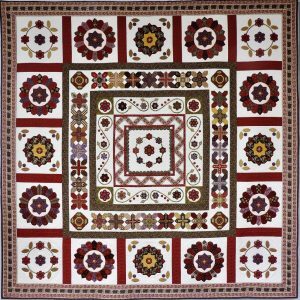 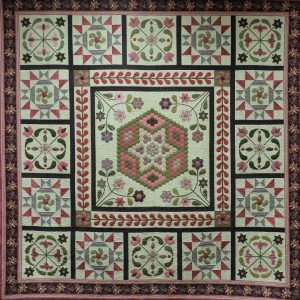 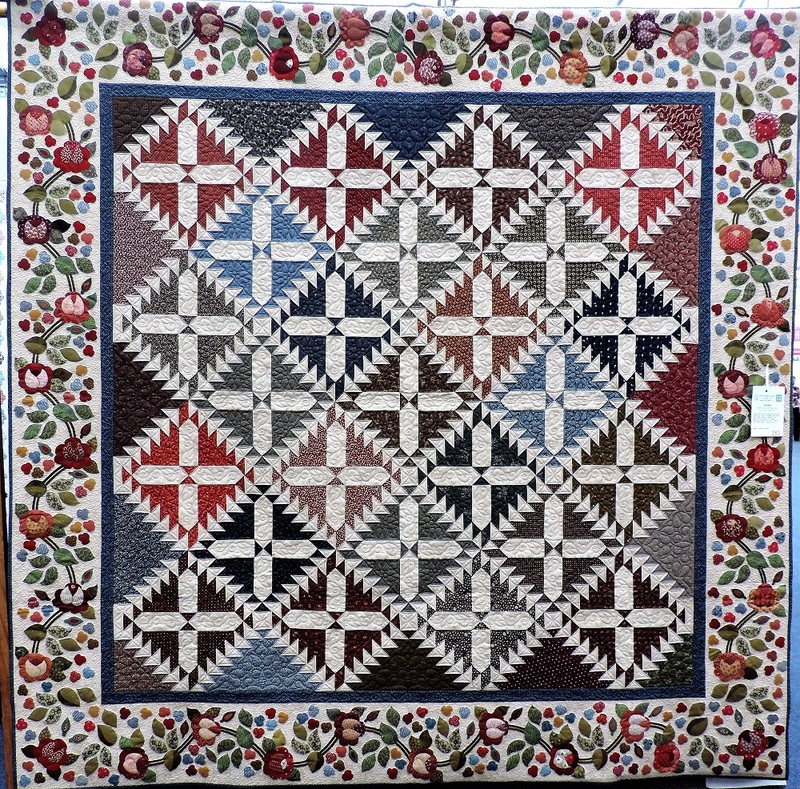 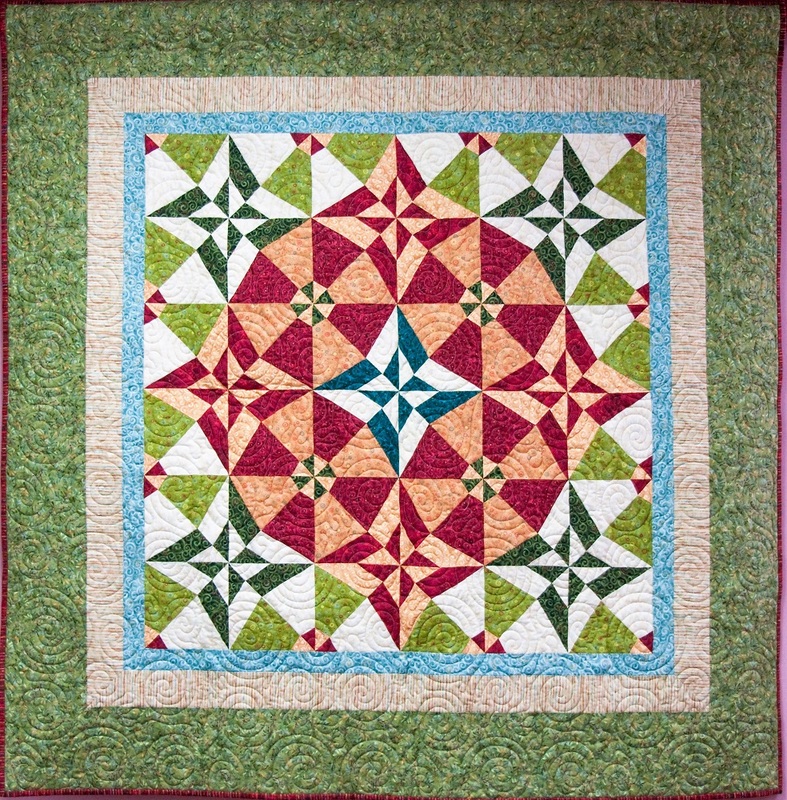 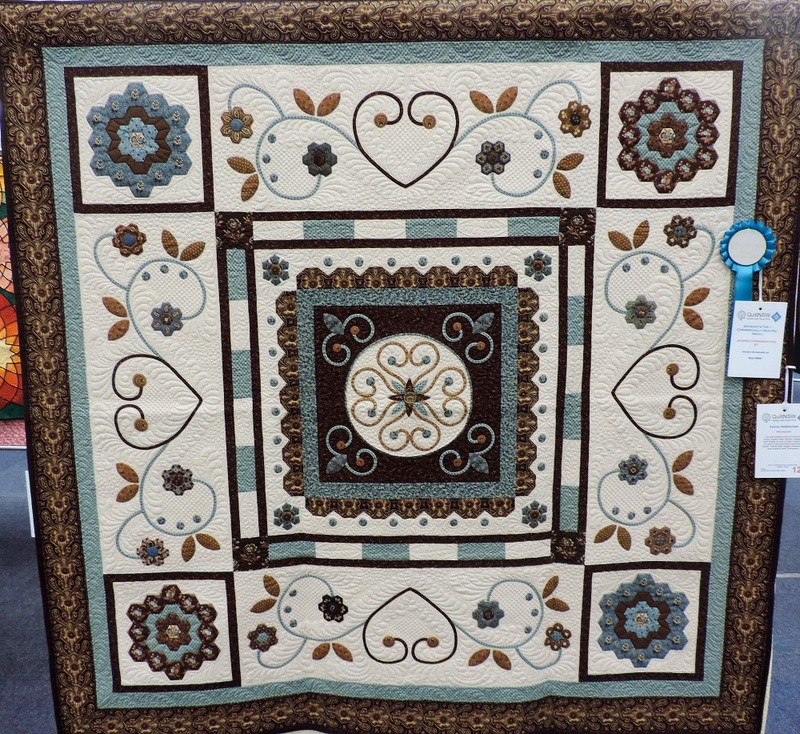 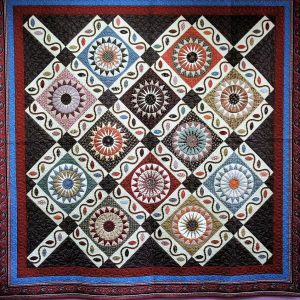 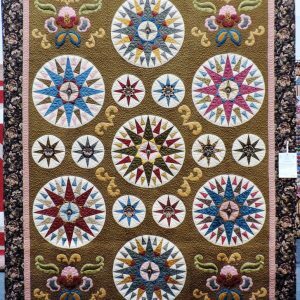 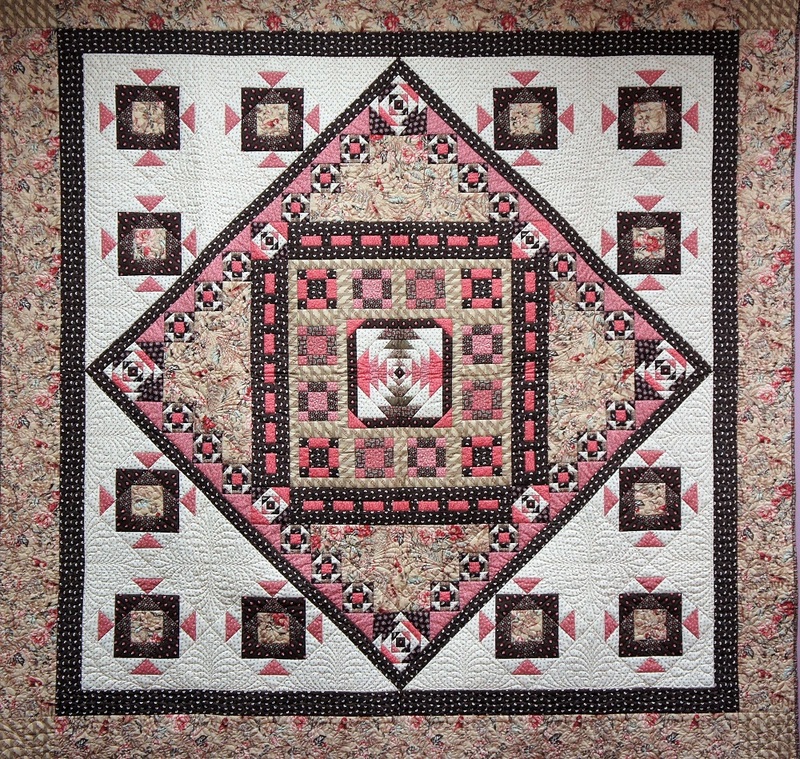 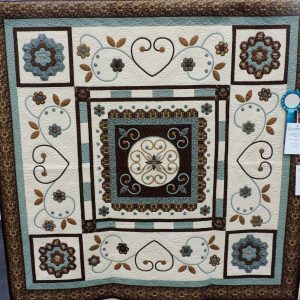 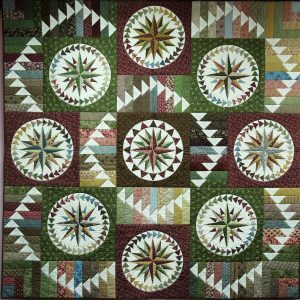 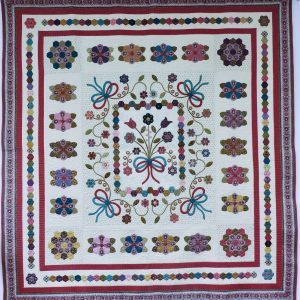 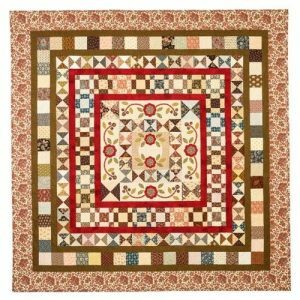 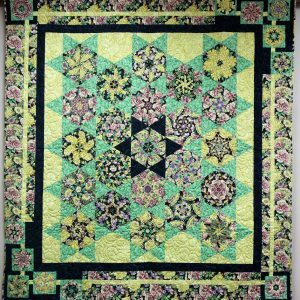 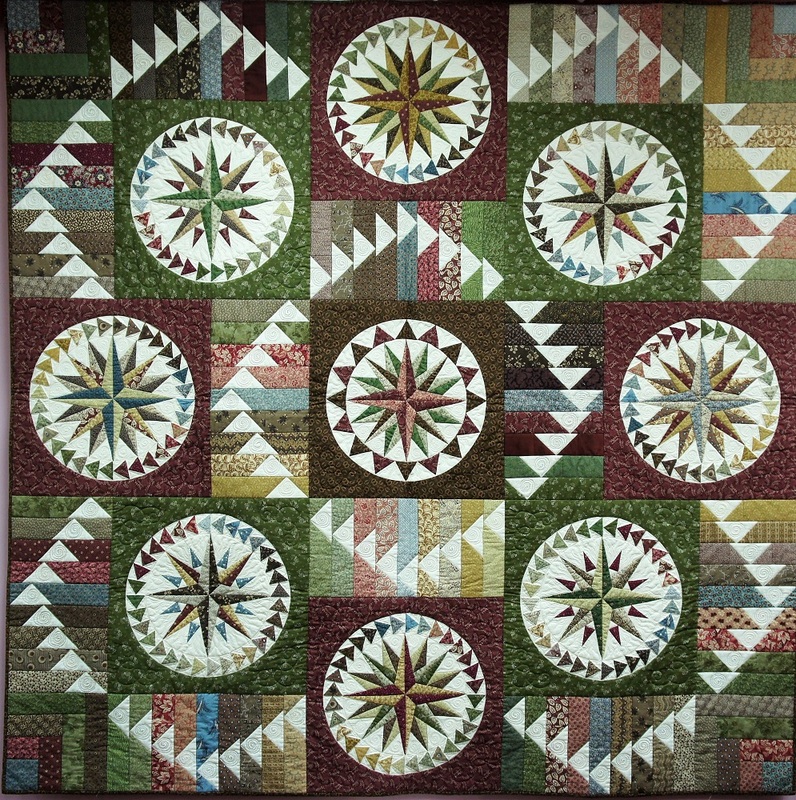 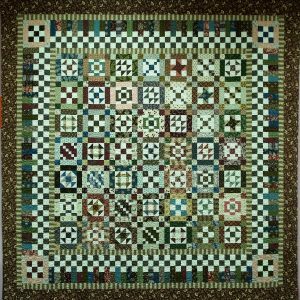 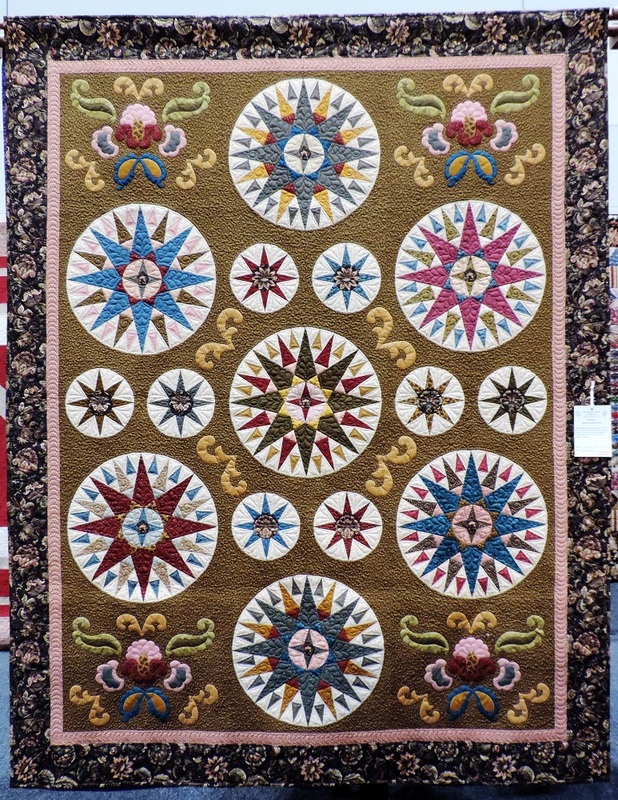 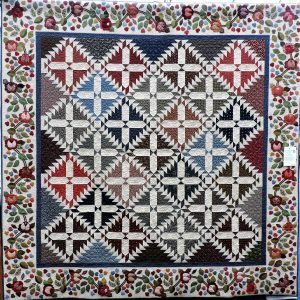 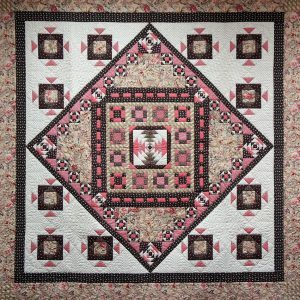 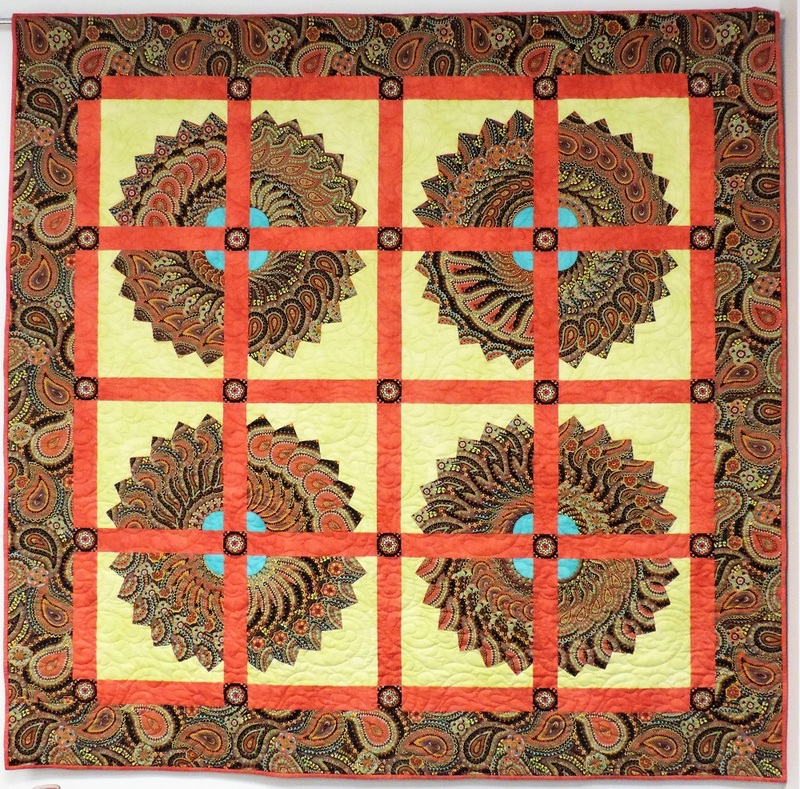 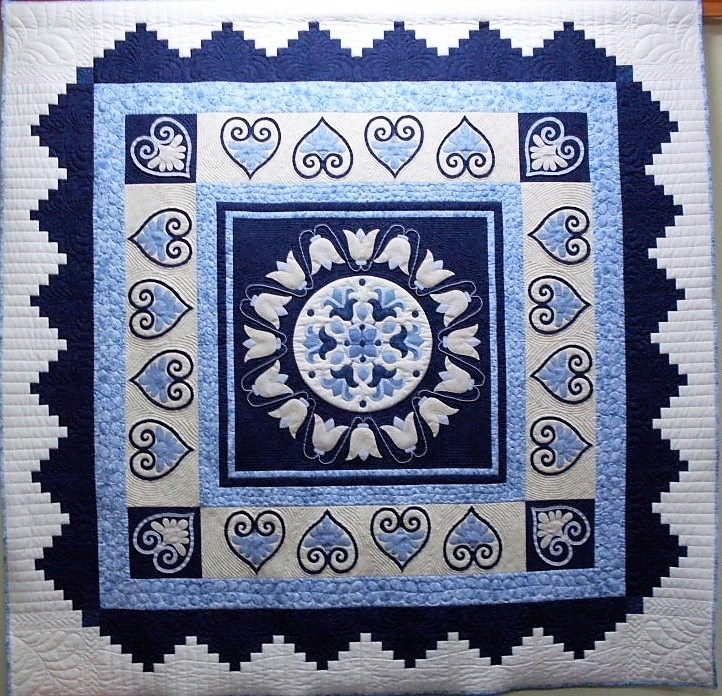 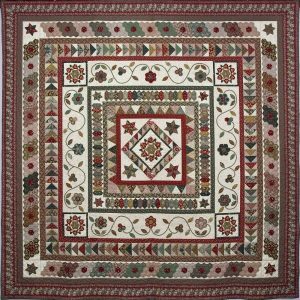 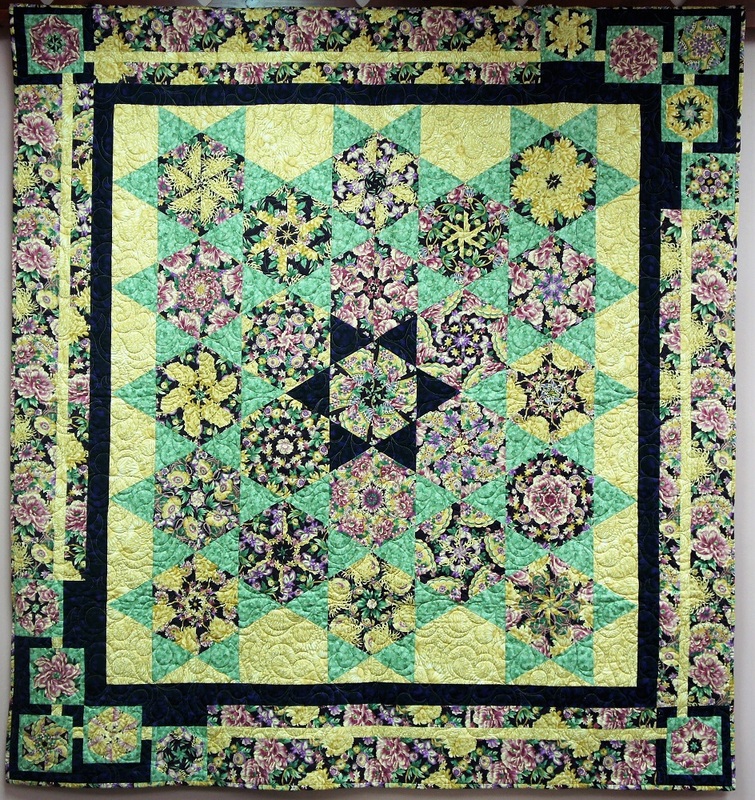 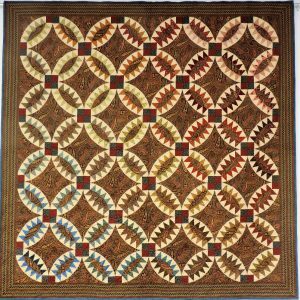 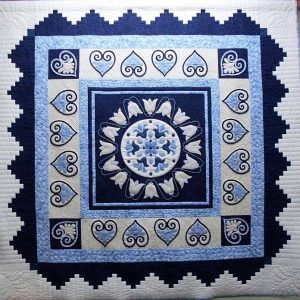 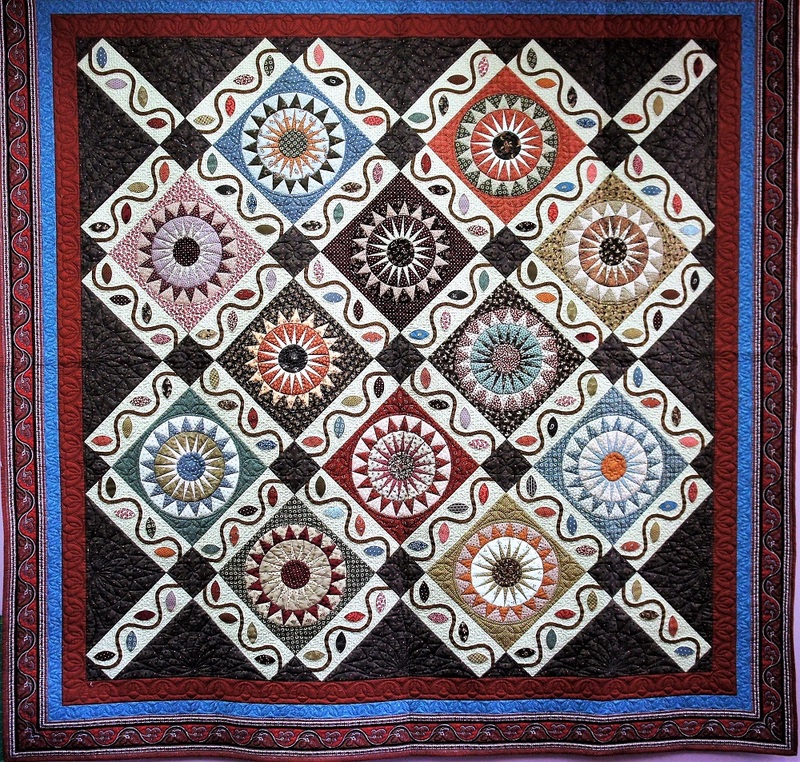 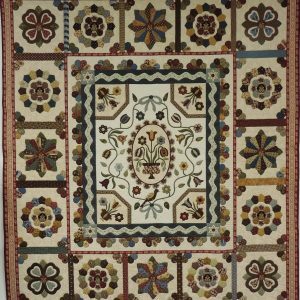 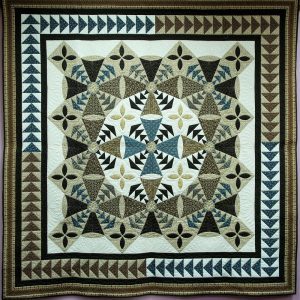 The Collection now includes nine bed sized quilts featuring lots of English paper piecing and hand applique elements of vines of flowers and leaves, stars, dresdens, clam shells but especially hexagons. 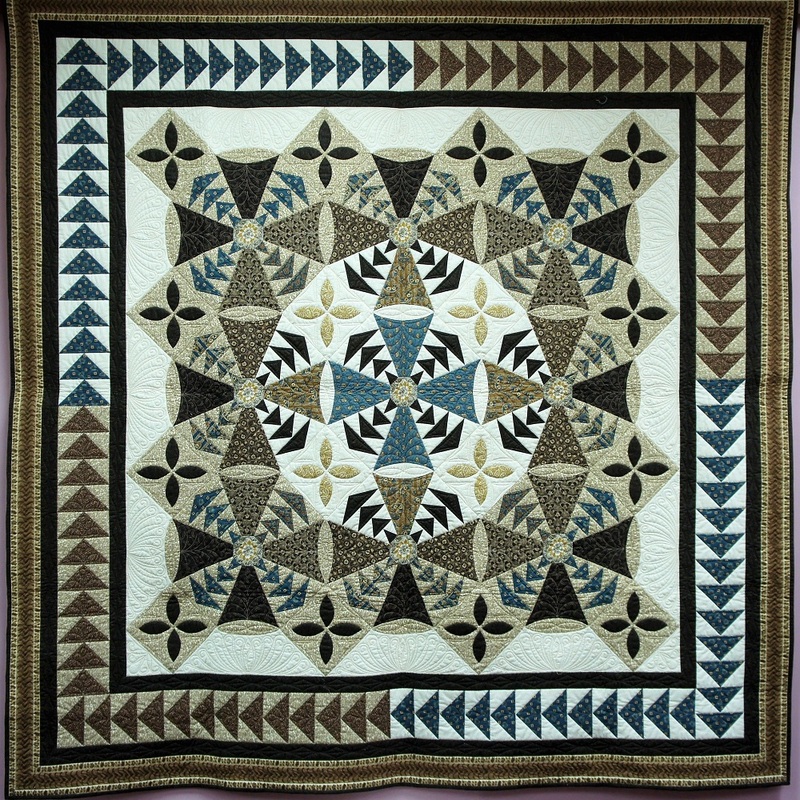 Hexagons are definitely my favourite shape of all. 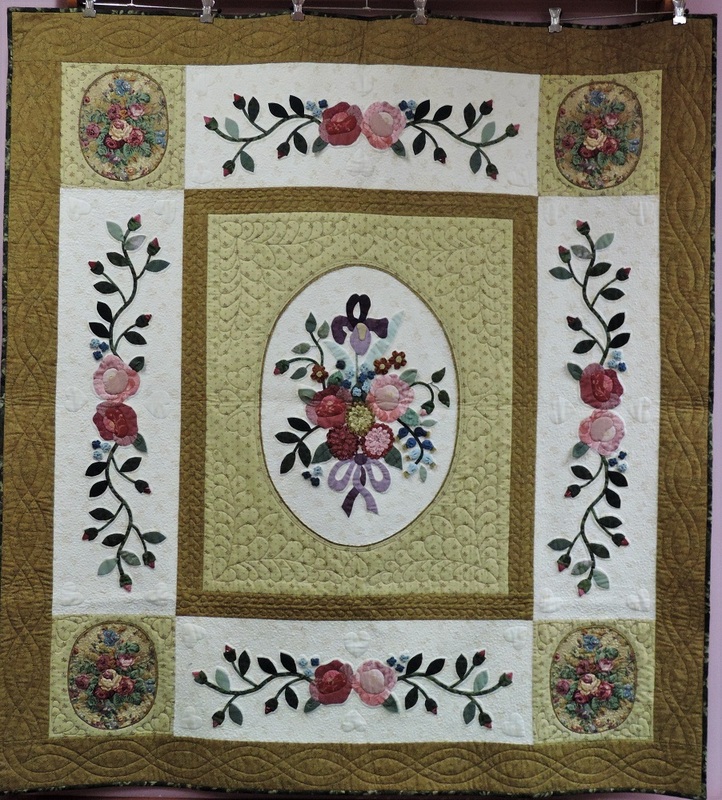 Many of my students have returned each year to start my latest instalment in this Collection. 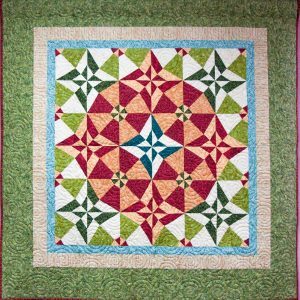 I feel very excited to see my students experiment with colour and add amazing fussy cutting from fabrics of all types to my design concepts. 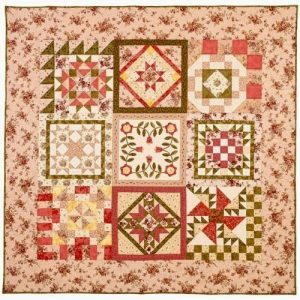 Full patterns and optional template kits for three quilts from the Jane Austen Quilt Collection are available in my online store: Pemberley, Lambton and Longbourne. 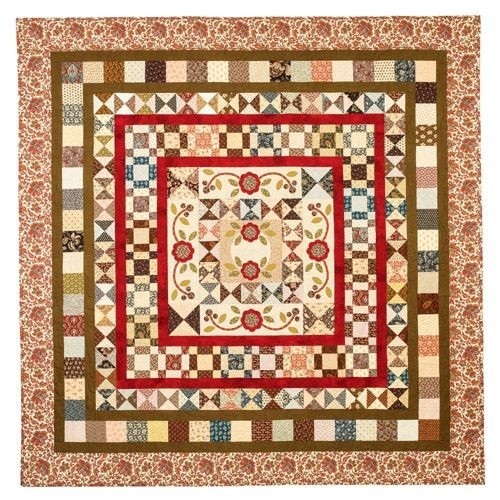 In the online store now: Spikes & Specks pattern booklet and optional template kit.